Long time no see, again. I haven't had the urge to write something lately since the majority of the anime I've seen as of late were not exciting to me at all. I've just wrapped up the final season of Bakuman after picking up the first season back in 2014, and now it's 2017, so it took me some time to get to this point. I was ambivalent in writing this since it's been a minute since the final season aired, but then I thought why not talk about it to garner more potential Bakuman fans who haven't seen the anime yet. So here are a few points as to why I think Bakuman is awesome! Here's a very brief synopsis of the anime before I begin: the anime follows two high school students, Moritaka Mashiro and Akito Takagi, as they aim to follow their dreams, become successful mangaka, and in doing so surpass one of the most talented mangaka out there, Eiji Niizuma. I love watching people chase after their dreams, it makes me a bit envious. Especially when those dreams are against the typical doctor, lawyer, engineer, etc.. professions. 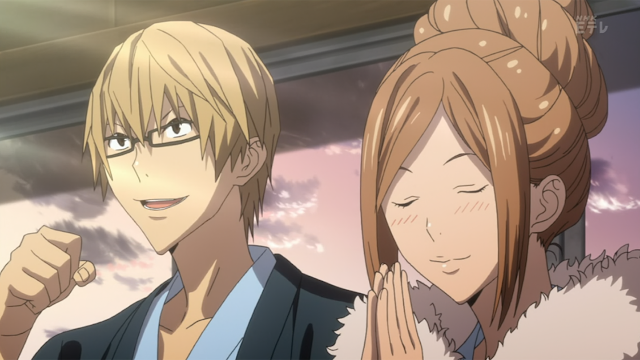 Mashiro and Takagi, both known as Ashirogi Muto under their pen name, are the main characters of Bakuman, and it was exciting to watch these two. Just the sheer level of passion and drive the both of them have for their craft is inspiring. From being able to go against your family wishes, to making tough/ critical decisions, to committing to a career in making manga; all of which were enticing to witness. J.C.Staff did a nice job in covering the highs and lows of their journey to become successful mangaka. Some of my favourite moments from Ashirogi Muto were when they hit their lows and being able to dig themselves out of it, the anime did a great job in capturing those moments, as well as the sweet highs that they've experienced. Again, the love for their craft, as well as the drive to achieve their dreams was satisfying to see. Passion for the arts isn't just embedded within Ashirogi Muto, but it's also embedded within all of the mangaka in the anime. 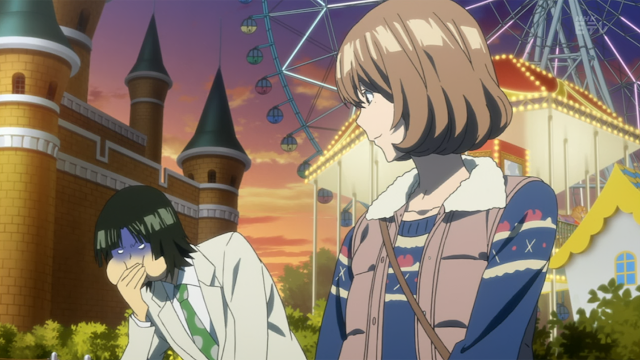 So there's lots of love for the arts seen in Bakuman. Which is great, and inspiring! I'm sure as you may know, that the road to succeeding at anything in life is quite challenging, there are plenty of obstacles that are in your way before you can reach your dreams. As for me, I've personally lost count as to how many snakes I've seen in my garden trying to climb a ladder on my back. Luckily in Bakuman I'd say a large portion of the people that are trying to go for the same dreams as Ashirogi Muto aren't as filled with venom, quite the opposite in fact. If anything the mangaka rivals made Takagi and Mashiro not get comfortable when they've tasted success in the anime - the rivals made it a positive thing to be a rival is what I'm saying. I enjoyed how none of the bountiful number of people fighting for the top spot as a successful mangaka were clawing their way to the top; it was all about talent and who had the most talent (which is how it should be). 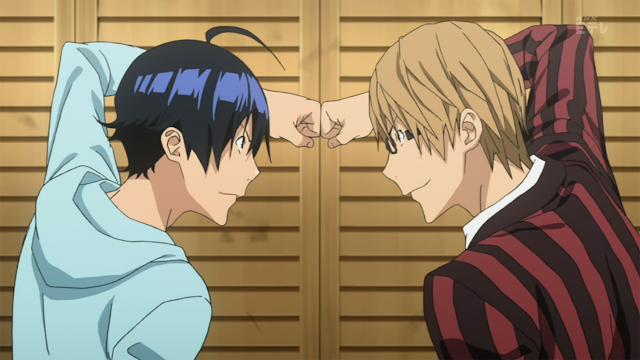 Not only were the rivals in Bakuman talented, each one of them encouraged one another to master their artistry.. which was refreshing. I enjoyed the fact that even though Ashirogi Muto and Nizuma are arch rivals in the anime, talent is what pushed the Ashirogi Muto and Nizuma to the top, and their healthy rivalry is what kept them being successful at what they do as mangaka. You really don't see that everyday! 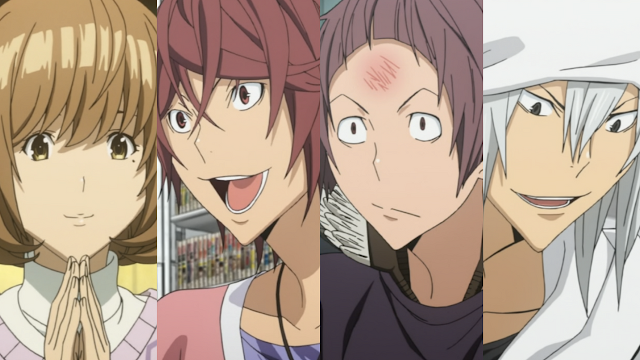 All three cours of Bakuman were done by J.C.Staff, and this studio did a great job with the pacing of this franchise. 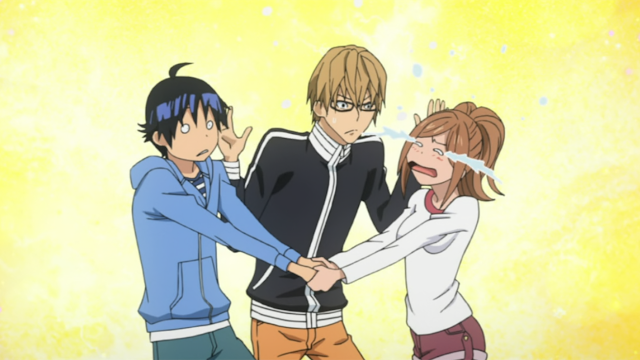 Bakuman is separated into three seasons, so a total of 75 episodes. I've never read the source material, so I'm not sure how long the manga is, but I'm glad that the studio took 3 seasons to animate Bakuman. The pacing was seamless, nothing was sporadic, and the storytelling was structured very nicely. Everything fell into place from the time Takagi and Mashiro were in high school, to where they ended in the anime as young adults. I don't know who can't appreciate studios giving the proper amount of episodes to tell a story, nothing in Bakuman was crammed down to the final few episodes. This is a little biased of me but, Hiramaru is the best character from this anime, he is the comedy relief of Bakuman, and absolute anime icon (my sarcasm is in full- effect). His relationship between him and his editor Yoshida is absolutely hilarious, the rollercoaster work relationship they have, sprinkled with Hiramaru's erratic personality will leave you kekeing in episodes where he is featured. And finally, what I enjoyed most about Bakuman was the anime took us into a world we're not really used to seeing - the process of mangaka doing what they do, and in of hopes these people getting serialized. And after getting serialized, what it takes to prevent their work from failing. 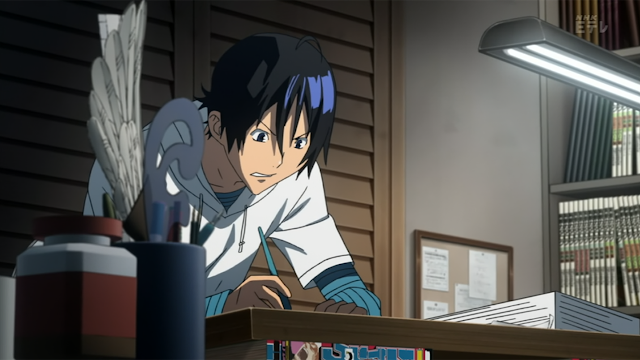 I realize that this is an anime and it's all fiction, but Bakuman does do a great job at highlighting the lengths some of these mangaka will go through in order to reach deadlines when given whatever amount of workload they're given, the lengths it takes to remain serialized, the amount of work it takes to craft a good act in a manga, etc..
We hear a lot about how animators in Japan get paid not even enough to stay afloat, they work tirelessly to finish frames to bring manga to life, they're overworked, etc.. But there hasn't really been a widely popular anime-based depiction of what mangakas go through to publish their work. Could the real world be as extreme as what Mashiro and Takagi went through with the whole drawing endlessly, pulling all nighters to finish work, quickly coming up with storyboards, etc...? I'm not sure since I haven't really sought out info from primary resources (mangaka) about their work life. But Bakuman does paint the picture that making it into the world of a successful mangaka is hard, and maintaining your success is even harder. Ok, phew. That's it as to why I think Bakuman is awesome; the story was different, the drive in all of the characters was inspiring, and almost everyone was fun to watch. Let me know what you think in the comments about Bakuman. Have you seen it? If so what do you like/ dislike about the Bakuman franchise? Until next time.